made another half dozen appearances. And, over and over, people (often “pre-published” writers) told me how lucky I was. After all: I’ve had thirteen books published since my first was published in 2001, and I have contracts for more. And, yes. I am lucky. I also do what most published writers do. I work hard. I do a lot of research. I write and re-write and re-write again. And, when a book is published, I visit bookstores and libraries and schools (and conferences). I blog. (Here I am!) I don’t do as much social media as some of my fellow authors, but I’m on Goodreads and Facebook. (Friend me, both places!) And if I’m not working on a book, and sometimes even when I am, I’m planning another one. Or two. I love my life … but I work seven days a week at my writing job, all year. Then why have I titled this blog “When Days Are Dark”? Because my first four historical novels for children and my first four mysteries sold. To a large publisher, Simon and Schuster. Got great reviews. Were nominated for an Agatha. Sold respectably. And then … my mystery editor retired, and my Shadows series was discontinued. Six months after that, my children’s editor was laid off and replaced by someone who wasn’t interested in historicals. Within six months I went from having two editors to having none. What did I do? After I cried and ranted and felt depressed and sorry for myself. I got back to writing. I wrote an adult historical mystery. It took a lot of research and time. And it didn’t sell. “It’s not a cozy” and “it’s not violent enough,” were the two comments I got from editors. I wrote historicals for children: one set during the American Revolution, a time period teachers and librarians had repeatedly told me they were looking for, and one set in Scotland, during the Highland Clearances. Although there were children’s books about the Irish potato famine, none were about the Clearances. Neither of those books sold either. I wrote about half of a nonfiction book about American history that was aimed at teachers. Although teachers told me they wanted a book like the one I was working on, my agent couldn’t find a publisher for it. I wrote another historical for children, and then a children’s mystery. Guess what? They didn’t sell either. Then, in desperation and frustration, I contacted a small West Coast publisher, and they agreed to bring my Shadows series back. The advance wouldn’t cover the postage for postcards to fans on my mailing list, but my name would be back in the mystery world. Shadows at the Spring Show had been published in 2005. Shadows of a Down East Summer was published in 2011. It was followed by two other Shadows books. 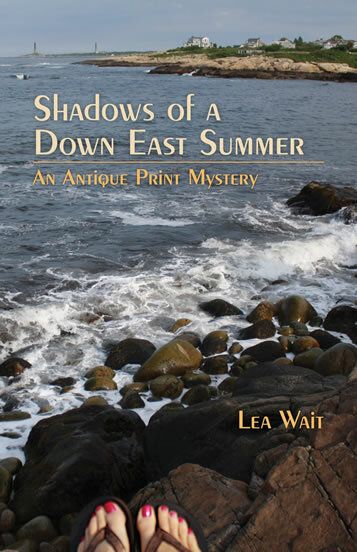 Shadows on a Morning in Maine is scheduled for 2016. 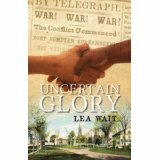 After I totally revised one of my books for children so it connected to the Civil War, a small Maine publisher picked up Uncertain Glory. Last year I had two books published, and in January of this year the first in a new traditional series for Kensington, Twisted Threads, was published. The second in that series, Threads of Evidence, will be out in August. And Uncertain Glory was a finalist for an Agatha, and will be out in paperback this summer. Yes — I’ve had thirteen books published, and more to come. But I’ve written four complete books and researched and written parts of another four or five, none of which have sold. I went six years without any contracts, when everything I wrote was rejected. And the publishing industry has changed. Even though I’m now publishing again, I’m working harder, writing more books in shorter time periods … and earning a great deal less money than I did in my first years as a published author. Writers, like most people, don’t like to talk about the hard realities of finances. But I’m a long way from “earning a living from my writing” as one librarian said to me recently. And as a writer married to a painter … I joke that we “starve in two fields.” But it isn’t totally a joke. What did I learn during those dark days when nothing I wrote would sell? I learned patience. 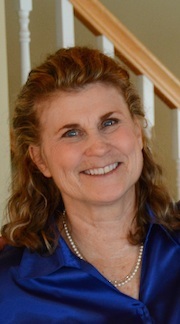 I learned marketing – planning and writing books that would meet marketplace needs. I learned to live more economically. And I read, and read, and studied books that were selling. I think my writing improved. Certainly my social media and marketing skills did. But those years were very hard. Yes, I was lucky. I sold the first eight books I wrote. But I paid for that success. Now, I’m lucky again to be publishing. But I don’t take sales for granted. My successes mean more because of my failures. What else did I learn? Nobody is lucky all the time. And .. not to give up. Yes, success takes luck. But luck comes to those who work for it. I don’t know any published authors who don’t work very hard. It’s the way the writing life is. This entry was posted in Lea's Posts, Uncategorized and tagged Agatha award, Lea Wait, Shadows at the Fair, Shadows at the Spring Show, Stopping to Home, Twisted Threads, Uncertain Glory. Bookmark the permalink. You are so right, Lea. No one is anointed “author.” Someone once equated it to ditch digging of the mind. It’s sweaty, unreliable work, but we do it still because we love it. Your books are wonderful! Thank you for writing, and for your story! Thank you, Gayle! It’s a crazy business … and, as you know well, it IS a business. Thank you Lea, for this helpful, honest, realistic view. My young reader friends (and I) enjoy your stories, most recently Uncertain Glory. I’m so glad, Karla! I’d love to be writing more books for young people right now … but my most recent contracts have been for adult mysteries. I’m hoping to get back to books for children soon. Pardon the locution, but I can so relate to this. When my Thea Kozak series got dropped, I was in despair. But that led to taking chances, and to joining Level Best Books and the chance to publish other writers. 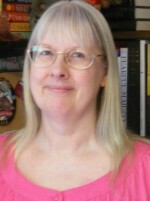 It led me to writing short stories, and the Joe Burgess series, and nonfiction. And yes, work seven days a week, and are often torn between taking the time for writing, which is our love and why we do this, and spending the time on marketing. Indeed…I’m writing this instead of marketing. But only for a moment. Then it’s coffee and on to the book that’s due July 1st. I’m not sure we’re supposed to share the “truth” about this business, but thanks for doing so. Thank you, Kate. Maybe we’re all crazy? Or just determined ….. Now — get back to that manuscript due July 1. And good luck at the Maine Literary Awards tonight! I’m cheering you on. This is the second “dark” piece/post written by you recently that I have read. (The other was a very poignant observation on Mother’s Day.) Darkness is indeed difficult to suffer through, but even worse in isolation. It takes courage to share like this, but it offers comfort to others experiencing similar pain and is a generous gift to fellow writers and artists. Great post. Thank you. Michele, Your comment was interesting … I’m glad you remembered my Mothers’ Day post. Maybe I’m just in a place where I finally feel comfortable talking about some hard issues. It’s good for me — and I’m glad when it also helps others. We often share success … and perhaps wouldn’t feel as self-conscious about pain if we shared it, too. At least sometimes. Thanks for sharing your experience, Lea. I’ve been there, too (more than once) and there is no way through it but to keep going. Sadly, I’ve known way too many excellent writers who gave up during the dark days and stopped writing entirely. Much better to reinvent yourself and keep on going. Re-inventing is part of this game — you’ve done it in more genres and with more names than most of us. You’re my model, Kathy. Good blog, Lea, and very wise. I’ve been there too, and you have it exactly right. Luck plays a part in everything but there is also earning that luck. Thank you, Triss! Good hearing from you. Thank you all so much for your comments! Yes; most of us do have dark days. And often we keep them to ourselves, as we would a deep and embarrassing family secret. But the hard times are a bit of this business. Thank you for giving me a supportive platform to share what’s sometimes (often) hard to talk about. Thank you for this important post, Lea. I am glad you have stuck with it, and agree that your books keep getting better. I was delighted to read on FB this week (on your birthday!) that you signed a new 3-book deal with Kensington. It is so important to celebrate the happy events – hooray for you! Thank you, Brenda! It is a little strange that the post appeared right after I was offered a new contract … but it doesn’t negate the dark days. It just makes the future ones brighter. Great post. Publishing is such a volatile business. I remember listening to an interview with Sherrilyn Kenyon about her up and down publishing track that included best sellers to no contracts and near poverty back to best sellers. Guess all an author can do is write and keep submitting. Thanks for the reminder that nothing is given . . appropriately enough, I read this half an hour after receiving the first rejection on my latest . . .
Don’t give up, Richard — if it’s your first rejection — you’ve only just begun! This may be one of the best blog entries I’ve read recently because it is both inspiring and provides a real world scenario of the writer’s life. It has given me today a much needed kick in the derrière to persevere despite whatever personal odds and professional odds may be standing in one’s way. Thank you, Jonathan. I hope it helped! Lea, I too found a west coast publisher willing to take a chance on me. Even though I didn’t start writing til the age of 66, I am enjoying my second career and shall continue for as long as it takes. My fourth will be out this fall and am well into my fifth. We just have to keep moving ahead. It’s the joy of creating. Hurrah! And all best wishes …and good sales, Russell! Lea, I both love and hate this post at the same time. But thank you for your honesty, your willingness to “tell it like it is.” It’s certainly not how we all wish it would/could be. But if knowledge is power, you have performed a service here today, especially for this writer, who is on a quick lunch break while working furiously to complete her first manuscript. Congratulations on your successes, but also on those project that fell short of your aspirations, since they taught you valuable lessons, lessons we are all bound to learn. 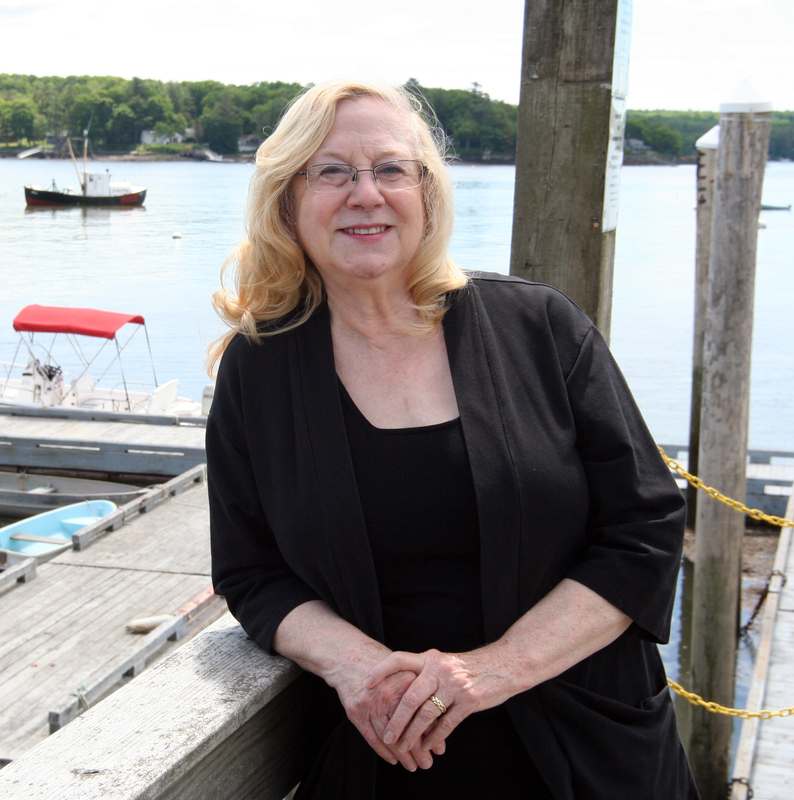 It was lovely meeting you at Bar Harbor’s Jesup Memorial Library and seeing you again at Maine Crime Wave in April. Look forward to seeing you again soon! Lea, I am so glad you’ve persevered, kept writing, and kept going. The waves of this business toss us all to and fro, most often without a life preserver of any kind — so the creativity need to remain the focus through it all. Easier said than done, I know. I’ve been honored to edit and publish some of your children’s work! Emma, the days when you were my editor were some of my very best — your comments were valuable, and your enthusiasm empowering. Your new life seems to be going very well .. I’ve been cheering you on! And someday maybe we’ll be able to work together again. I would love that. Perseverance is a gift, or maybe it’s a learned skill? This is both inspiring and frightening. A writer married to a painter–I have so many artist couples who are in the same situation. Living the creative life as a couple must have rewards, but from time to time, I know I wished I’d married a plumber! Or been one myself. I hope the dark days are behind you for good. Thank you, Ramona! You and me both! Because Emma Dryden shared this post, I happened to see it—quite a coincidence because today I was planning to write a note to you in thanks for The Best Writing is Re-writing: The Art of Editing, at NESCBWI 2015. Your workshop at the end of the conference sent me back to Southwest Harbor with a spirit of “keep trying.” Your comprehensive handout will be an enormous help as I revise my MG novel yet again. As a retired career teacher trying to break into children’s books, I continue to feel like a new kid on the block and I’m grateful for help. I thanked you at the end of the workshop, little realizing the lean times you’ve undergone as a writer. Your blog post tells the “hard stuff” and conveys your stick-to-it approach. Inspiring. Carry on, Lea, you’re awesome. Thank you, Sarah! I feel honored — truly. And I’m so glad my workshop was a help. You’ve said the right words — “keep trying”! Lea, I’m another writer who knows what it’s like to find herself without a publisher and a ms (or several) that won’t sell. But, as you say, it is important to keep trying and exploring and persevering. 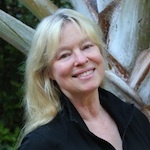 I’m grateful for some of the bumps in the road now because they gave me a jolt and made me think about trying new things–short stories, Level Best Books with Kate Flora, and stories set in India. Like many others, I write more and make less money, but I’m a better writer and happier with what I’m doing. Thanks for posting this. You speak for many of us. I haven’t had any ‘un-dark’ days yet. I’ve only finished my first complete manuscript at 44. No-one wants it so far, though its early in the submission phase. I’ve written its sequel and and I work all day on its third and last installment, which I’ve been dying to write for a couple of years, since I jotted down its outline. I have two more book ideas sitting on my desktop but I have no idea if anything I do will published, despite the time I put in. All I’ve wanted to do, and have done, since I was a kid, was write. The thought of it never happening is just awful. Larina, I had to jump in here on this, tho’ this is Lea’s post. I started writing 32 years ago, and spent 10 long, discouraging years in the unpublished writer’s corner before I sold my first book. It was published in 1994. The challenges never go away, and no one ever beats a path to your door demanding to publish your book. But determination, and perseverance and believing in yourself go a long way. I always tell my writing students this: Only you get to decide that you’re a writer. You still have to put in the work, and the writing and rewriting, but no one will ever believe in you the way you believe in you. Best of luck.